Gentle giants or giant monsters? 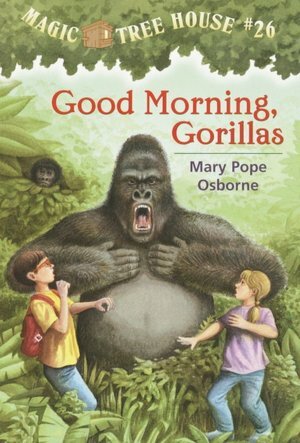 That’s the question Jack and Annie have about gorillas when the Magic Tree House sweeps them to the mountains of Africa. There they meet a group of amazing and sometimes frightening mountain gorillas. Annie knows how to play with the creatures right away. But Jack is left out. Will the gorillas be able to teach him some special magic? Amazing interaction with the animals in this book!